Everything in Nepal is about relationships and community. All our training and activities are driven by becoming a family with these lovely people. Trish is with her girls , Nepalese style, preparing them for work. It has been wonderful to see the "light bulbs" going on, as Trish opens up new avenues of thinking. 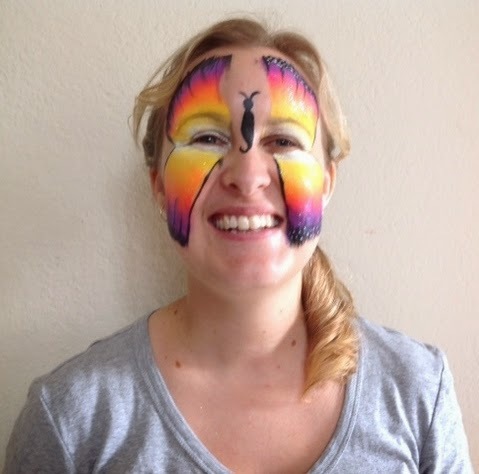 Hannah above after having her face painted by one of her trainees. 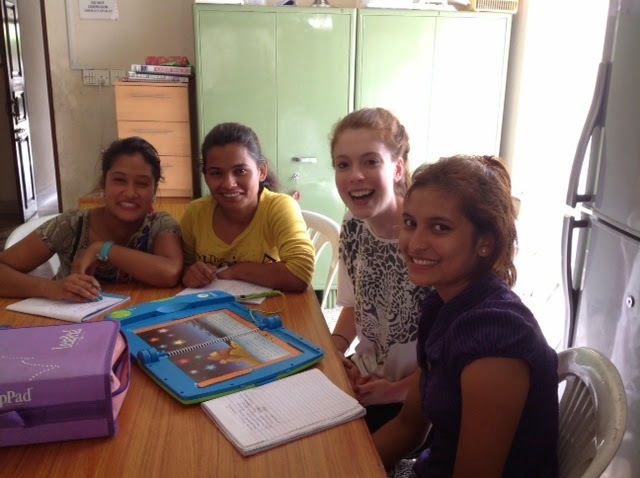 And below, is Danielle, assisting some of the girls working towards english speaking. The team arrived last night quite weary, but full of stories of their experiences out in the West. They know they will never be able to fully explain what they have seen and done. Mike and Frank loved doing training of the pastors, and everyone has seen the places that some of our girls come from. It is quite confronting. Peter is teaching ESL and I will get a photo of that in the future. Today is team day off, so we are going out together this afternoon. The ladies who arrived last night have been washing all morning in the little twin tub mating. They had mountains of washing.